Did you know that tofu blocks contain a lot of water? In fact, tofu is over 80% water. And you can imagine, that when cooking with something that has a lot of water in it, it may end up diluting the final flavor or seasoning of your dish. If you don’t believe me, try putting some salt or soy sauce on top of a tofu block. removing excess water from tofu! If you’re frying it, it’ll also reduce any splattering caused by water mixing with oil. Like with many things in cooking, this isn’t a hard and fast rule you must follow but is something you might want to experiment with. e.g. if you don’t already do it. And for many of the Japanese tofu dishes I make (including the ones in my cookbook), I always use one of the methods outlined below. 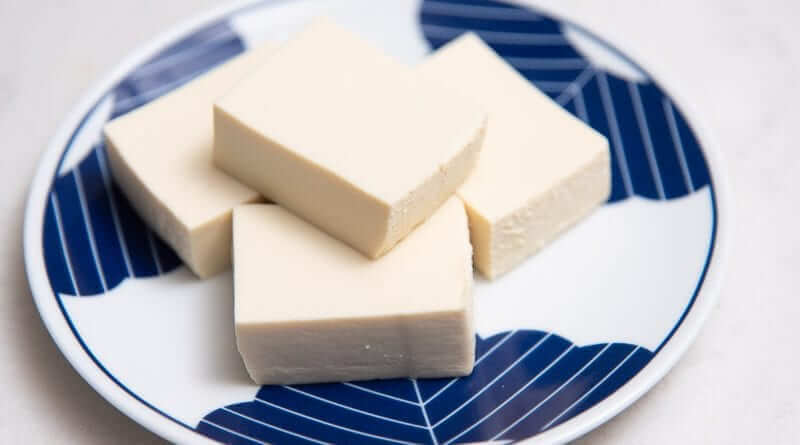 Removing excess water from tofu is referred to in Japanese, as mizuwokiru (水を切る), literally to cut the water. You might be surprised how much water each block contains. And even more so, how removing the water from tofu can improve the flavor and texture of your tofu dishes. This is most evident when making something in a salty sauce, like a tofu scramble or stir fry. After cooking it, you’ll notice that the sauce quickly gets diluted. You may not notice hot off the stove, but likely when you reheat your leftovers the next day. 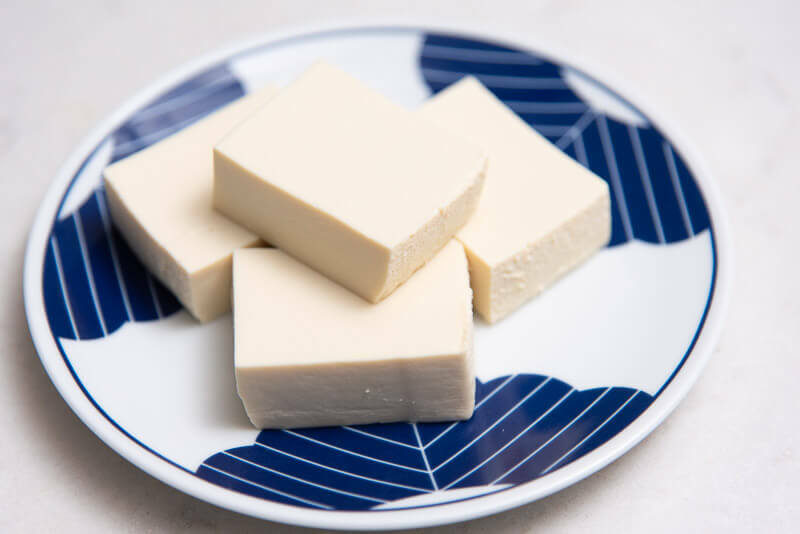 The methods below aren’t limited to Japanese tofu dishes and can be applied to any tofu dish. 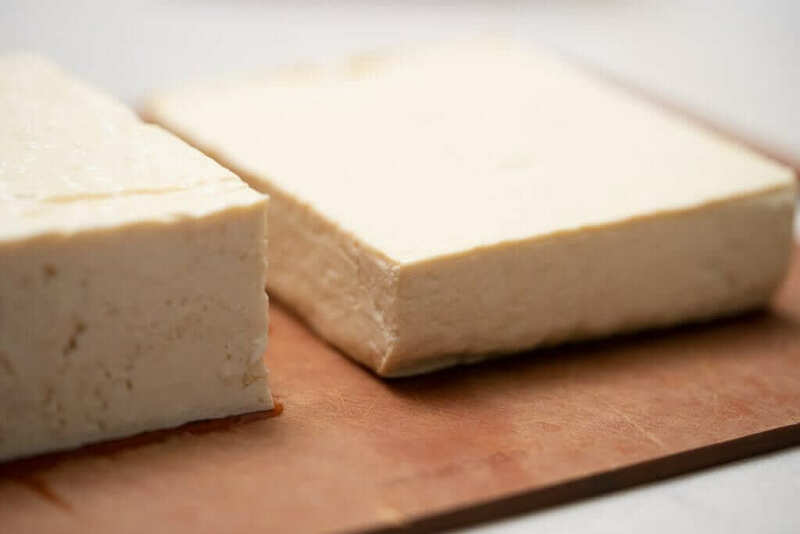 Regardless of your tofu cooking experience, here are 5 ways you can remove excess water from tofu to improve the taste of your tofu dishes! Here are five ways to remove excess water from tofu (longest to shortest). With pros and cons for each method! 1. Cutting the tofu into pieces and allowing the water to leak out. 2. Placing a weight on top of the tofu. Try to use at least 5 pounds (2-3kg) and something to balance it. You’ll also need a shallow plate or bowl to catch the water being squeezed out. 3. Using a tofu pressing device (like the Raw Rutes Ninja), which presses on the tofu, squeezing out excess water. 5. Microwaving with a tea towel or paper towel for 2-3 minutes. Have you tried removing excess water from your tofu before? if so, have you noticed a difference? if not, which one of these methods do you think you’ll try first? youre welcome! your mapo tofu sauce might become a little more potent without the extra water 😉 do you have a go to recipe? I’ve made variations using different meats (chicken or pork or lamb) and veggies (leeks, peas or broccoli) but the basic recipe is here. In this one, I coated the tofu cubes in cornstarch and deep fried them before adding them to the pot of sauce. The basic recipe I use is here … though I’ve made it with chicken or pork. And used peas, broccoli or leeks as the vegetable. looks delicious! have you changed any of your technique or ingredients over the years?